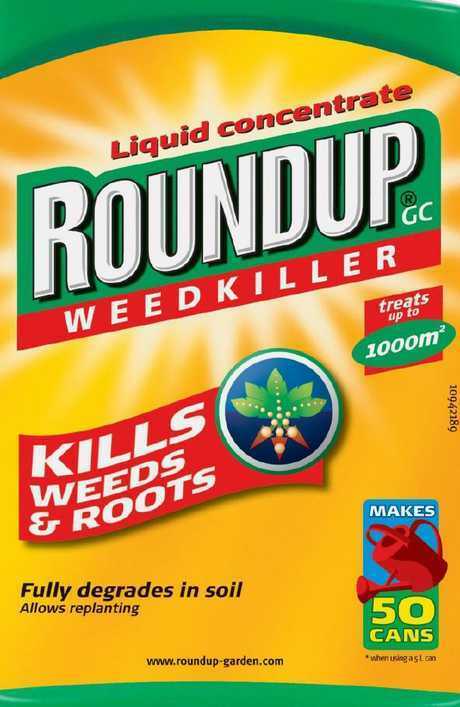 CANCER Council Australia wants an independent review into weed killer Roundup, which has been linked to cancer claims in the US. The authority wants a formal review into an active ingredient in the product - chemical glyphosate, according to the ABC. 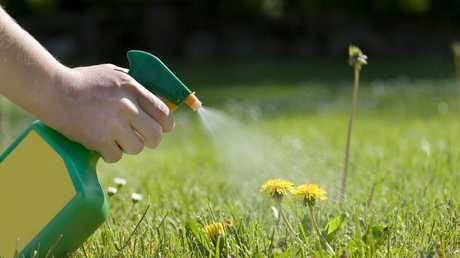 The chemical is the most widely used herbicide worldwide, commonly used in agriculture and household gardens. The push comes as Roundup owner Bayer urged Australian farmers to step up their defence of glyphosate, saying they could not afford to stop using it. 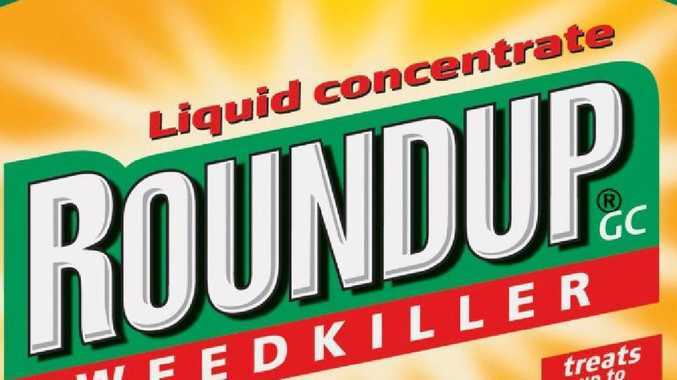 Cancer Council Australia's chief executive officer Professor Sanchia Aranda told News Corp Australia that the International Agency for Research on Cancer has classified glyphosate as a probable carcinogen. "While some of the evidence has shown mixed results, after reviewing hundreds of studies, the IARC concluded that glyphosate is 'probably carcinogenic in humans'," she said. "The apparent increased risks were mainly found in agricultural workers, and the main cancer type associated with use was non-Hodgkin's lymphoma." Professor Aranda said that because glyphosate is a probable cause of cancer, the most important thing is for those most likely to be at risk to protect themselves according to best practice in occupational health. "There needs to be a systematic collection and review of data on exposure in Australia, so we have a clearer picture of the protections in place in the workplace," she said. "There are multiple laws and regulations at the state/territory and commonwealth level, designed to protect workers, however these should be better coordinated, monitored and enforced. "People should minimise the use of the product if it's not necessary and those who do work with it should take health and safety precautions. Safety data sheets usually advise wearing eye protection, a respirator with replaceable filter, rubber gloves, and cotton overalls buttoned at the neck and wrist. Professor Aranda added that "there doesn't appear to be a cancer risk to the general community through general use or through food consumption." Bayer is defending use of the chemical as it faces litigation by more than 9,500 plaintiffs in the US - mostly farmers who claim exposure to glyphosate caused non-Hodgkin's lymphoma. The chemical was patented American agriculture company Monsanto four decades ago, the company was taken over by German company Bayer in September. It was interesting timing for a takeover as in August, a Californian jury ordered Monsanto to pay $US289 million ($A409 million) to a former school groundskeeper who was dying of cancer. The jury agreed that Roundup weed killer contributed to DeWayne Johnson's disease - a view Monsanto and Bayer strongly denies. Monstanto says there's no link between glyphosate and cancer and says hundreds of studies have determined the chemical is safe. Greens Senator Janet Rice said the party would push for a Senate inquiry into glyphosate if the government failed to launch an independent inquiry. "Given the widespread use of glyphosate, sold as Roundup,across Australia, we need to trust that it is safe to use," Senator Rice said. "The concerns over its safety that have been raised by the World Health Organisation and now the Cancer Council are very serious so it is imperative that the Australian government immediately instigate a fully independent and transparent review. "This could be overseen by either the Australian Pesticides and Veterinary Medicine Authority or if it is unwilling to properly interrogate the issue, the Department of Health. "This inquiry must also call on Bayer to publicly release all of its internal science. "If the government fails to ensure an independent review , the Greens will be left with no choice but to move to initiate a Senate inquiry into the issue. News Corp Australia has also approached Labor and Agriculture Minister David Littleproud for comment. 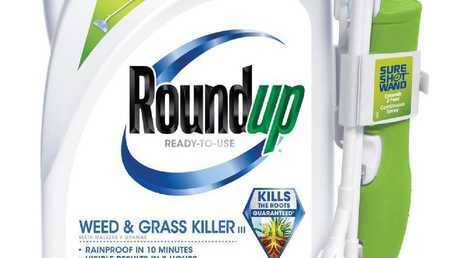 IS ROUNDUP SAFE FOR HUMANS OR NOT? However, in 2015 the cancer research agency of the World Health Organisation (IARC) classified glyphosate as "probably carcinogenic to humans", but they conceded the findings were based on limited evidence. The IARC did find there was "convincing evidence" the chemical caused cancer in laboratory animals. The US EPA had initially classified glyphosate as "probably carcinogenic to humans" in 1985, on the basis of tumours in mice - according to the IARC. However the US EPA changed classification to "evidence of non-carcinogenicity in humans" in 1991. In August 2017 Australia's Pesticides and Veterinary Medicines Authority responded to the IARC saying it would not be re-evaluating the use of the chemical or changing its advice on use for Australians. It concluded "the use of glyphosate in Australia does not pose a cancer risk to humans, and that products containing glyphosate are safe to use as per the label instructions." To date, the APVMA stands by their ruling. Speaking with the Australian Financial Review this week, Bayer crop protection chief operating officer Brett Begemann hit out at increasing attacks on glyphosate. He said Australian farmers could not afford to take glyphosate, or innovation in crop protection for granted. "We're (Bayer) all about increasing the productivity and the efficiency of agriculture to feed an ever-expanding population, and it's crystal clear to us that we have to do that on essentially the same footprint of land, and you don't get any more water," he said. "So we have to find more and more sustainable ways to increase the productivity of agriculture. The important part of that background is that glyphosate fits right squarely in the middle of making that happen." Bayer Australia has also been contacted by News Corp Australia for further comment. Meanwhile, CropLife Australia - an organisation representing the plant science sector in the country said any debate on glyphosate needed to be backed by scientific evidence. "Public discourse based on hype and myth risks disastrous ramifications for Australia's agricultural sector and the environmental sustainability of farming," a statement issued today read. The organisation said it strongly supported "robust, rigorous and independent regulatory systems" that crop protection products are subjected to in Australia. "Recent evaluations by the European Food Safety Authority, Germany's Federal Institute for risk assessment (BfR), and the European Chemicals Agency (ECHA) found unequivocally that glyphosate poses no unacceptable risks either to human health or to the environment," the statement read. "More than 800 scientific studies and independent regulatory safety assessments support the fact that glyphosate does not cause harm to humans or the environment. 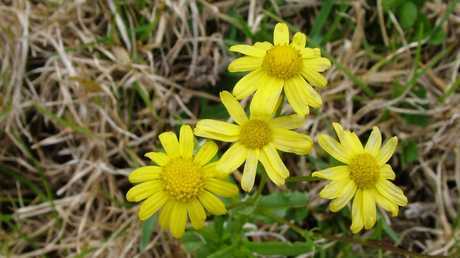 "Glyphosate is a crucial tool for farmers to manage weeds, improve productivity and protect the environment on which they farm."